Facebook's popularity in India, the social network's second-largest market after the US, continues to increase with the company boasting about 142 million monthly active users in the country. The company said also that Facebook Lite, a data-efficient version of its app, has crossed the 100 million monthly active users mark globally. The most significant fact about Facebook's India user base is that of the total number, about 133 million access the social media platform through their mobile phones. Nearly 69 million users access Facebook daily in India, of which 64 million use the platform on their mobile devices, said a PTI report. During its third-quarter revenue announcement, Facebook had said that its global monthly user base jumped 14 per cent from a year earlier to 1.55 billion during the quarter while daily active users increased 17 per cent to 1.01 billion. 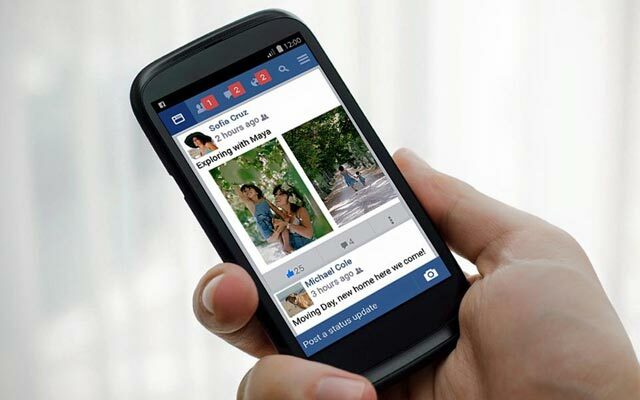 Facebook Lite was rolled out nine months ago and is now the fastest-growing version of Facebook. The company claims it has an APK, or Android application package file, that is less than 1 MB in size. The Lite APK doesn't have the product code and resources found in a typical Android app, it said in a blog post. The app now supports 56 languages and is most popular in Brazil, India, Indonesia, Mexico, and the Philippines, Facebook said.